If you’ve never been to India, you really should. And if it’s your first time to India, you really should visit, as I did, via the Golden Triangle. Having done the trip I can vouch that following the triangle in 10 days was perfect. I enjoyed three nights in Delhi, two nights in Agra, two nights in Jaipur and another back in Delhi, and while of course I could have happily have spent more time in India, it didn’t feel rushed at all. 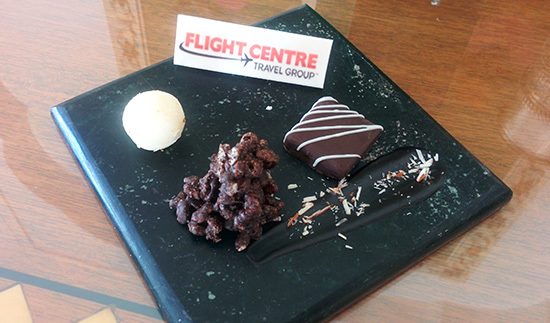 Having pre-arranged transfers is always preferable, especially after a long-haul flight. In India though, I think it’s essential. The airport wasn’t as nearly as hectic as I was expecting it to be, but outside the hassle of taxi drivers and bag handlers approaching you can be a little overwhelming, particularly if you’re jetlagged. So, instead, I recommend skipping the hassle and arranging for a driver to meet you at the airport. There’s nothing more reassuring than seeing your name on a sign when coming out of the gate! Did you know? 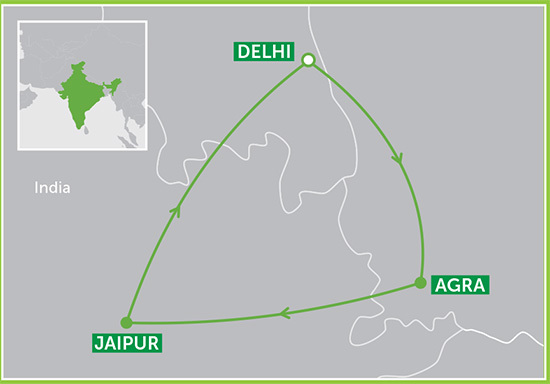 All of our India holidays include an airport meet and greet service. As a classic tourist trail, there are plenty of tour buses that navigate the Golden Triangle. And while some places are good to see on a group tour, the Golden Triangle isn’t necessarily one of them. In a big group you’ll not only be hassled by hawkers and street vendors at every tourist attraction, but you’ll also miss the opportunity to venture off the beaten track a little. While I loved visiting the icons on the trail, some of my favourite moments happened away from the attractions, like meeting local village kids and shopping at village markets. While travelling with a tour bus isn’t ideal, going alone isn’t really possible either. Travelling between each city is best done by car and driving in India is best left to a local. Each leg is usually between a four and six hour drive too, so it’s best to just sit back and enjoy the ride. And it really is a ride. Some of my weirdest and wackiest sightings, from goats comfortably riding on a motorbike to naked Jain monks walking along the road, happened when driving between the cities. Did you know? 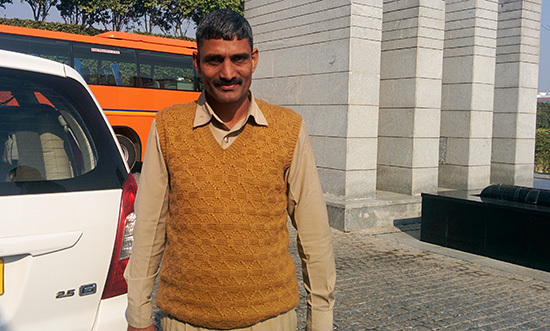 When you book our Dreams of Taj Journey, all transfers with a private driver are included. While the streets of Delhi were filled with people and colour, and the pink buildings of Jaipur were wonderful to see, it’s the Taj Mahal that really took my breath away. You would think (like most famed monuments) that seeing the Taj Mahal in person might be a bit underwhelming. But standing in front of it, soaking it all in, I can say it not only lived up to the hype but exceeded it. To visit the Taj Mahal you have to buy a ticket (if you’re with a guide chances are they’ll already be pre-bought) and venture through security. There’s a strict no food and metal objects rule for when entering so don’t bother bringing any snacks with you. While there will always be people in the grounds, you can avoid the tourist bus rushes by arriving early in the morning or late in the afternoon. We went in the afternoon to see the sunset and it was incredible. When it comes to plush places to stay, India certainly has no shortage. Accommodation, particularly on the Golden Triangle, runs the gamut from modern and sleek hotels to traditional palace-style accommodation to even luxury safari tents. For the ultimate stay though, the Oberoi Hotels are the crème de la crème. In Jaipur and Delhi I was lucky enough to stay in Oberoi properties and I’d never experienced anything quite like it. In Jaipur at the Oberoi Rajvilas I was overwhelmed by the size of my room (which featured a sunken bathtub that I could practically swim in). The service was also incredible; I couldn’t help but say yes when they offered to drive me across the grounds to my room via golf buggy (it’d be rude not to!). The luxurious pool area at the Oberoi Amarvilas in Agra with the Taj Mahal in the background. 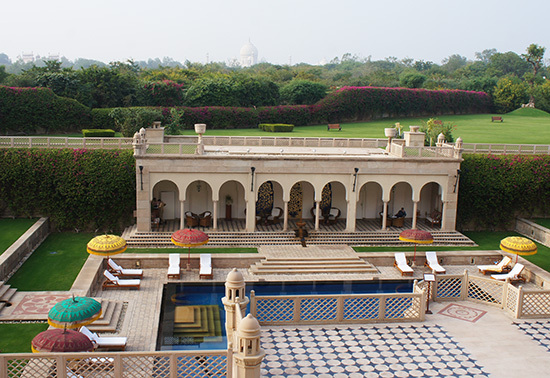 But the most impressive of the properties was the Oberoi Amarvilas in Agra. Not only does it feature incredibly glamorous décor and that signature attentive service I found at other Oberois, but the Oberoi Amarvilas also boasts a spectacular view of the Taj Mahal from its lobby and balcony. Now that’s luxury! 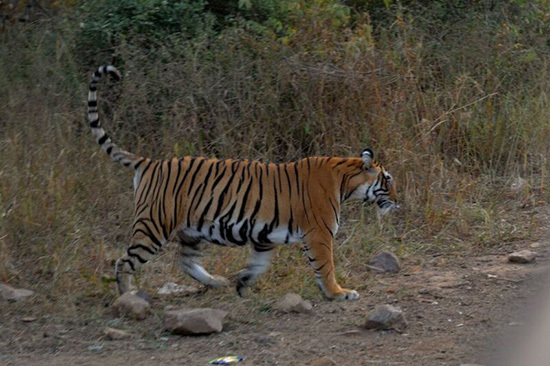 While not traditionally part of the Golden Triangle, if you’re intrigued to venture into the jungles of India it’s easy to add a night’s stay in Ranthambore National Park, famed for it’s tigers. Not only is Ranthambore a perfect stop between Agra and Jaipur, it’s also home to a number of luxurious hotels including Nahargarh Ranthambore, Khem Villas jungle camp and a luxury glamping experience at the Oberoi Vanyavilas. Travel the Golden Triangle on our 10-day Dreams of Taj Journey itinerary or talk to one of our Experts about tailor-making a similar India itinerary to suit you.